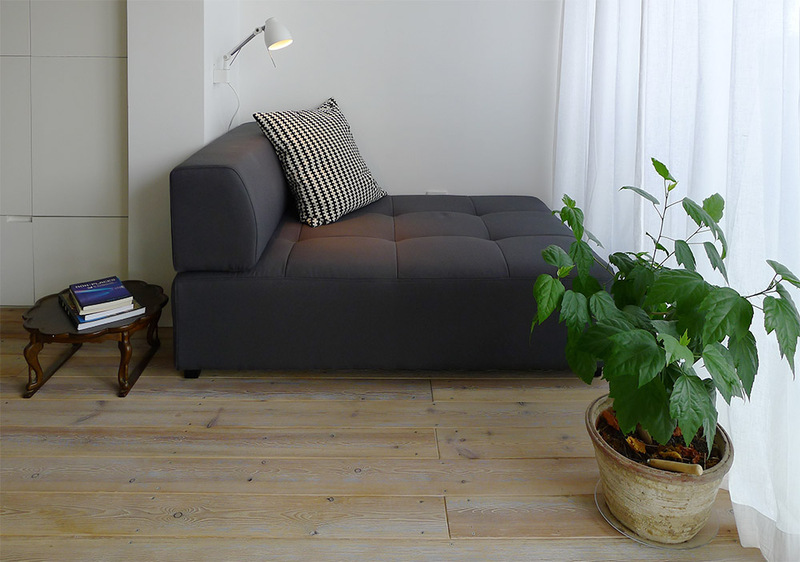 Designed for our former small apartment, to be placed in the glazed balcony area, this sofa/pouf fills up the narrow space without dominating it. The dimensions make it big enough for two people to sit cosily, or for one person to pull their feet up and really relax. The backrest is loose which makes it easy to change positions.